The rooms housed by the Mamas Inn use a number of components of the contemporary designs. 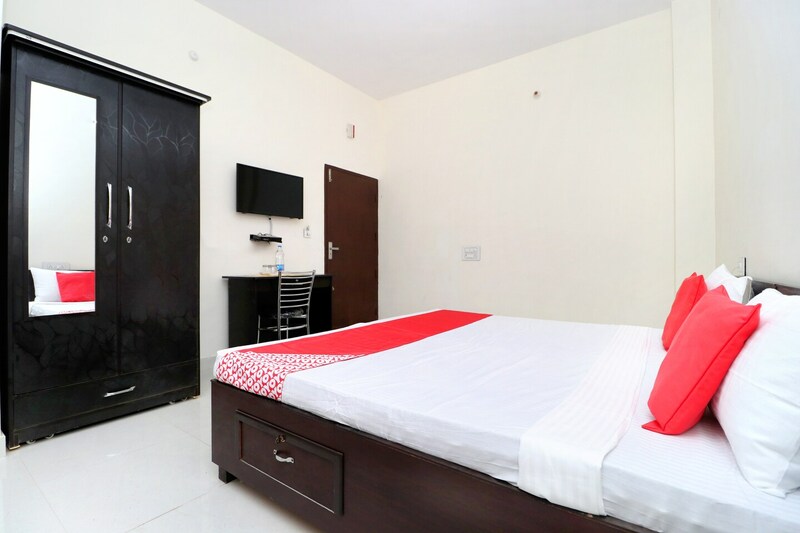 The rooms are compact and are well-furnished. Artificial lights have been placed wisely and hence, the rooms are well-lit. The rooms have been painted in a neutral mofe and the only elements of colour are the cushions and the curtains. The extra facilities provided by the hotel are free Wifi, CCTV cameras, and an uninterrupted power backup source. There is a common lounging area also which can be used by the guests to relax and rejuvenate after a tough day at work. The front desk service is located close to the entrance and is handled by experienced staff personnel.